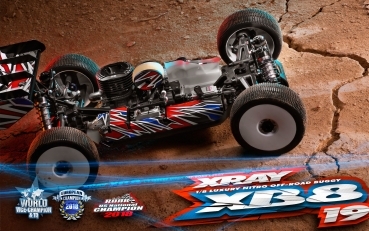 Based on the ultra-successful XB8 platform, XRAY proudly presents the new 2019-spec XB8 which incorporates the latest improvements and refinements gathered by the team, race-proven in the highest competition races around the world. 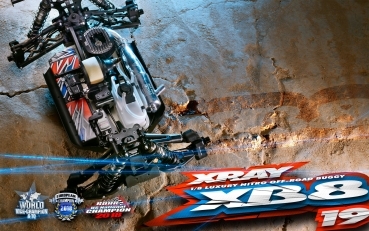 The XRAY XB8 platform displayed its incredible performance advantage by winning the European Championships in the hands of Bruno Coelho. 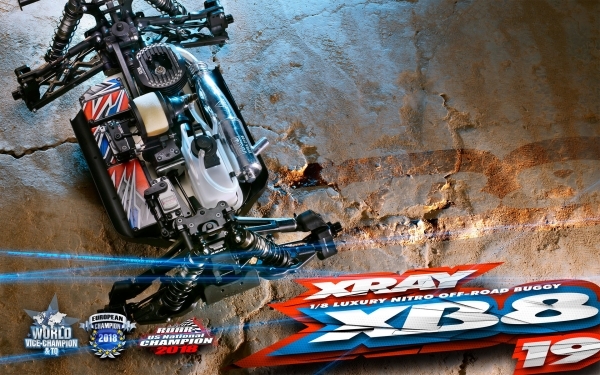 With fantastic pit-support and technical knowledge from XRAY Factory team Gord & Ty Tessmann the EFRA European Championship title dream was achieved in stunning style for XRAY XB8. All the work and refinements on the XB8 were incorporated based on our own experiences and also from the vast majority of feedback from drivers all around the world. 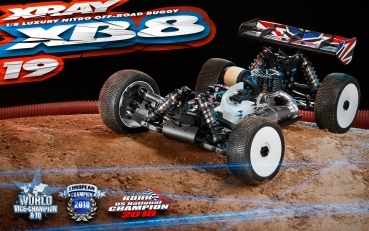 New ideas and prototypes were long-term tested by the factory team worldwide to ensure the improvements would work well in all track conditions and tracks in Europe, America, and Asia. 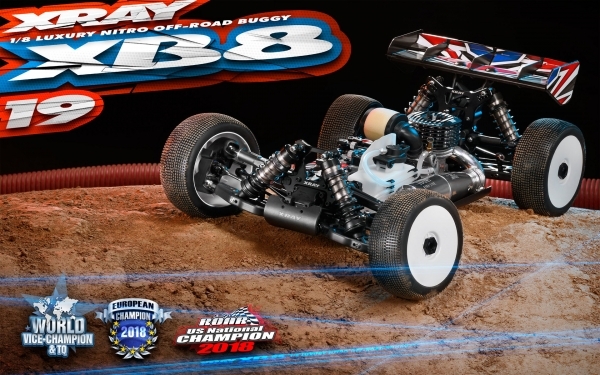 At one of the world’s most competitive off-road races – the ROAR National Championship, it was XRAY’s Ty Tessmann who brought the first ROAR National Champion title to the XB8 platform. 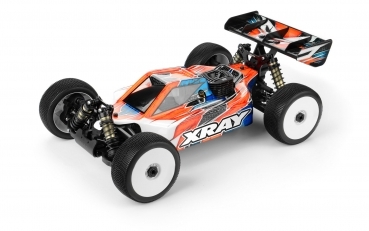 Tested and successfully run in the highest competition races so now you can enjoy the same winning platform.